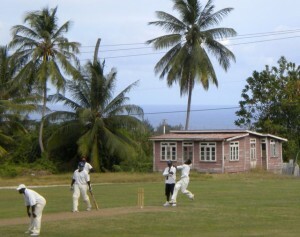 Barbados in now officially a World Heritage Tourism destination. This is our own TravelersInsight designation. It can only be applied to UNESCO World Heritage designated places, that meet our own criteria to qualify as a “Heritage Tourism Destination”. We FOCUS ON tourism destination that are “UNESCO World Heritage Sites” AND ALSO ARE exciting and rewarding places to visit for an adventure holiday for families, singles and couples. The video here (also on YouTube at http://www.youtube.com/watch?v=dc2l3Z6l99E) contains a short video of island architecture and structure. It also covers how to contact us at TravelersInsights and reviews details on the rates page. 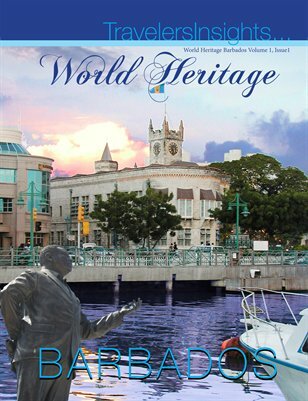 In this first issue on Barbados you will read about the statue of Lord Horatio Nelson a British Admiral who defeated the French. Nelson was an ardent support of the slave trade and in an Island now governed and run by their descendants, his omnipresence in town is not applauded by all. It is however a part of the heritage of this free and independent island nation with an enduring spirit, … and love of life. The statue remains a symbol of the successes and excesses of the past. 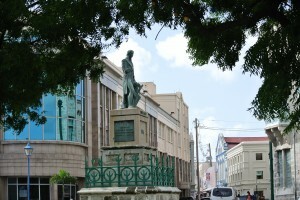 That it stands in the center of town is further testament to the spirit of the government and leadership of Barbados. Also remarkable is the fact that it was erected in Barbados long before Lord Nelson’s Statue was erected in London.